Our next walk takes place this coming Sunday 24th February at Mistley. Our March walk will be a lovely riverside walk in Hadleigh dedicated to the memory of Angie’s Husband John Upson who sadly passed away in January. Johnnie was a life long resident of Hadleigh. He adored all of his dogs and when he was well enough would often join us on our walks with his own dogs Alex and Troy. We hope to raise a glass to Johnnie in the George Public House after the walk. We have booked the Community Hall for tea, Coffee and biscuits after our walk to Alton Water. We hope to have a leader for a shorter walk for those who would like a more gentle stroll. Should nobody be available to lead a short walk we will make the usual long walk a little shorter or advise those not wanting to walk too far when we have reached the half way point so they may return to the hall if they wish to. All breeds of dogs are welcome. 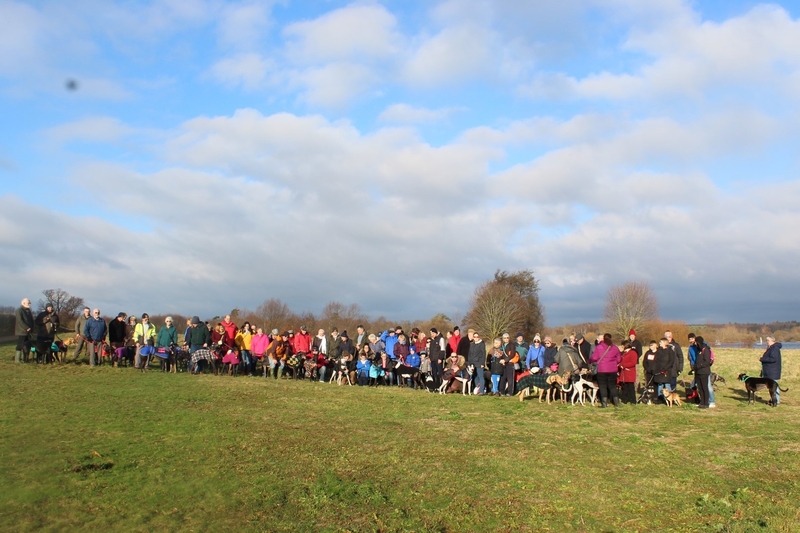 92 greyhounds and 12 companion dogs joined us on a grey Boxing Day to walk off the Christmas excesses (and then eat mince pies and sausage rolls). Huge thanks to all those who made pies, rolls, tea and coffee, and to all for your kind donations. 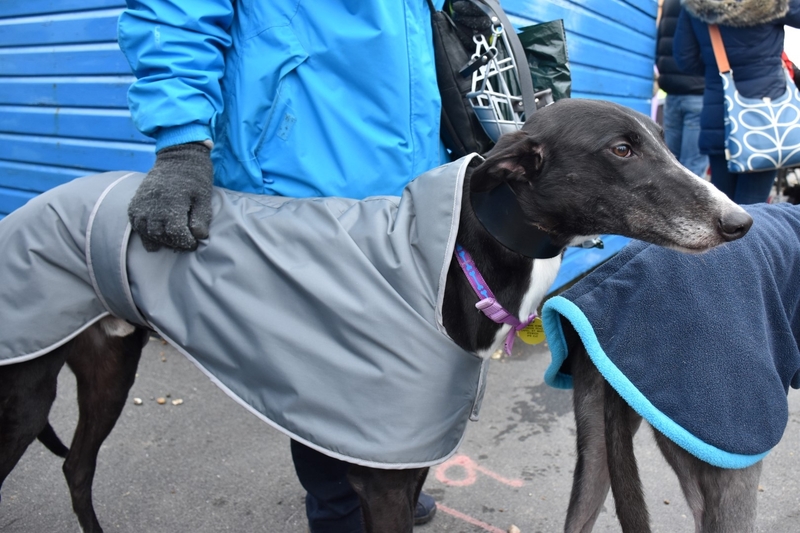 The Doctor joined us from kennels and was a very good ambassador for all his friends needing homes. For more photos, see our facebook page. 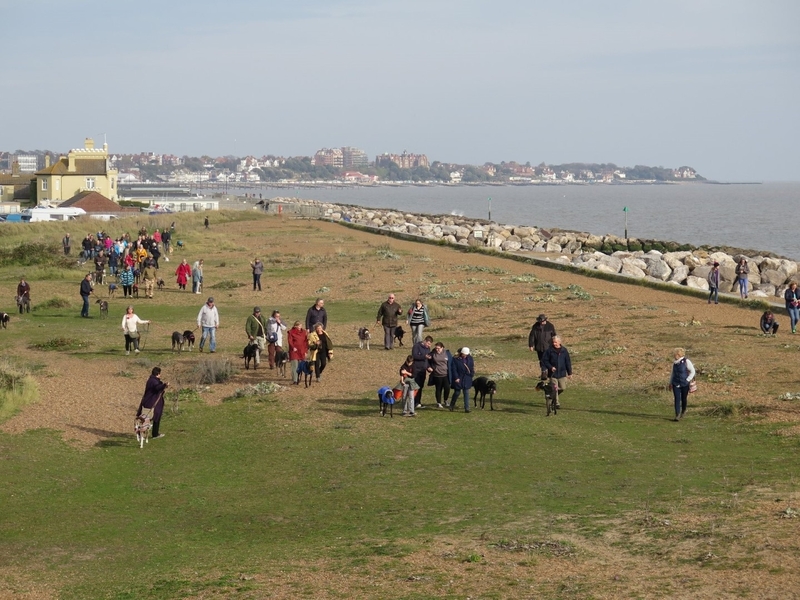 We enjoyed another glorious walk in Felixstowe on Sunday. 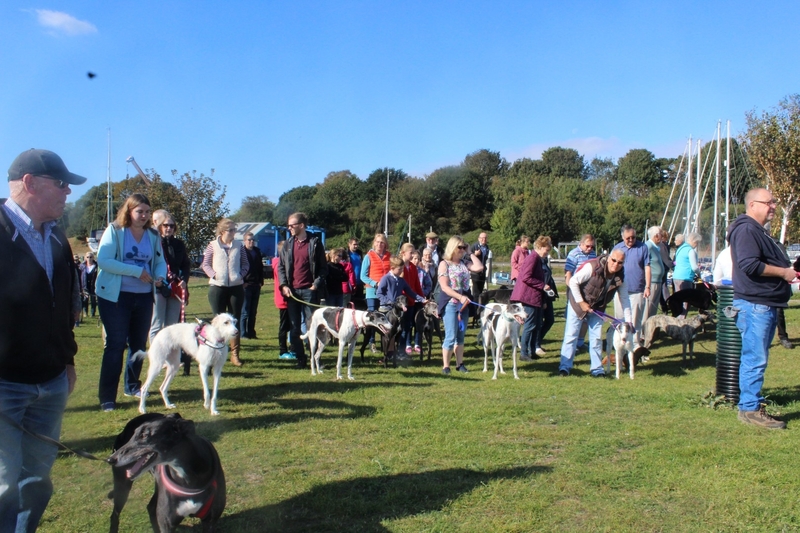 We were joined by 58 Greyhounds and 9 of their companions. 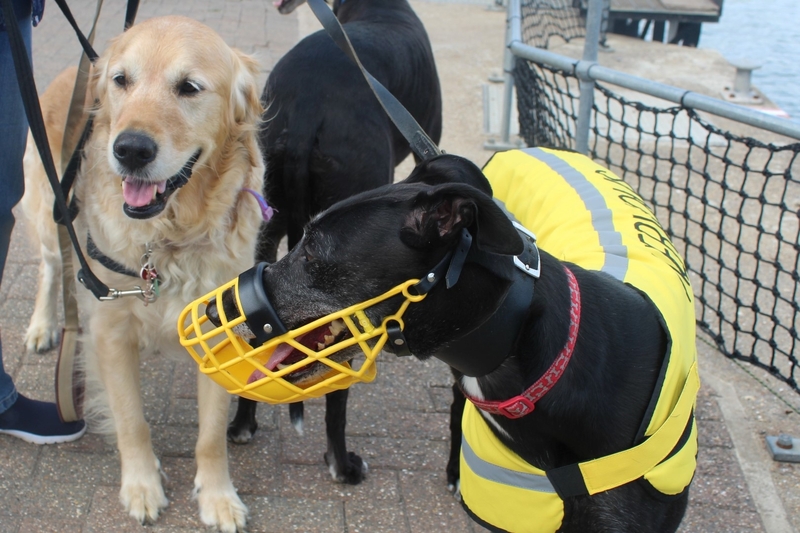 Kennel dogs Des and Noah came along and behaved beautifully. 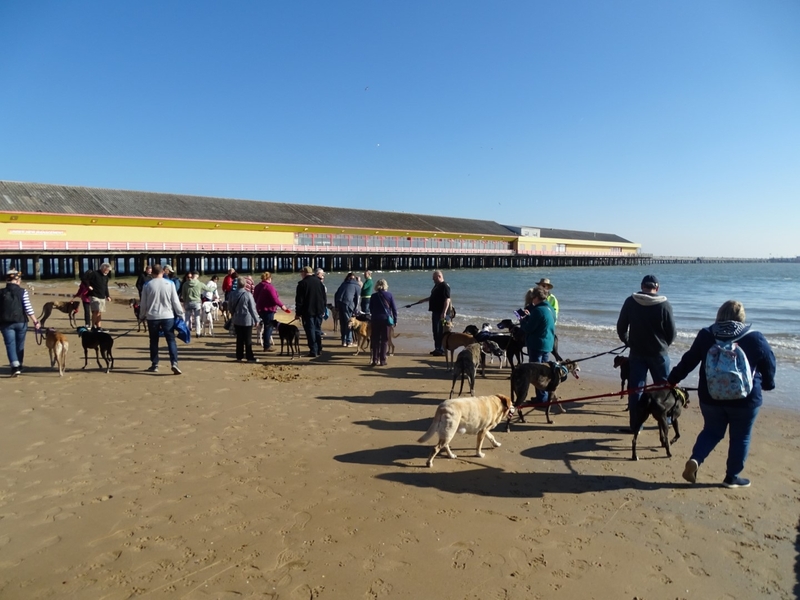 Many thanks to Mark for organising and leading the walk and to all who contributed towards the dogs Christmas fund. £57.30 was collected. Just a little reminder that our next walk takes place this Sunday (4th) at Languard Point Felixtowe at 11am. We hope you can make it. Full details are in our What’s On section under walks. What a glorious day for a walk along the prom and a paddle! 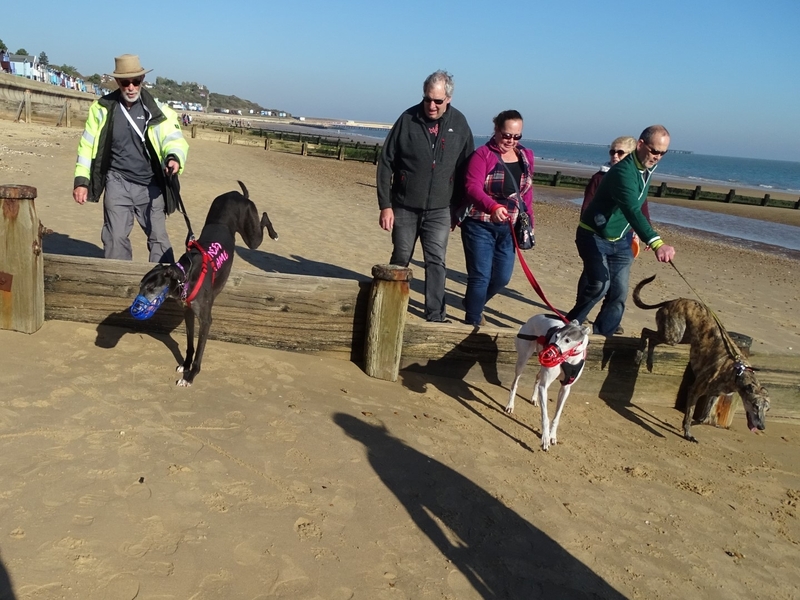 24 Greyhounds and 3 of their pals enjoyed a lovely walk at Frinton yesterday. Many thanks to Terry and Kirsty for organising this walk for us and to Peter for taking the photos. Kennel dog Leo went along and had a lovely time. He paddled in the sea and reminded everybody that he was once an expert hurdler by jumping over the sea defenses. Nice enough for a paddle. Kennel dog Leo practicing his hurdles. Our next walk will take place on Sunday 30th September at 11am in Shotley. We will start and finish at the Marina, Shotley Gate IP9 1QJ. The walk will take approx. 1 hour. Kennel Dog Milly pacing out the walk with her friend Darcy.